This Sunday, Sept. 30, the Laurier equestrian team will be competing in their first competition of the year. 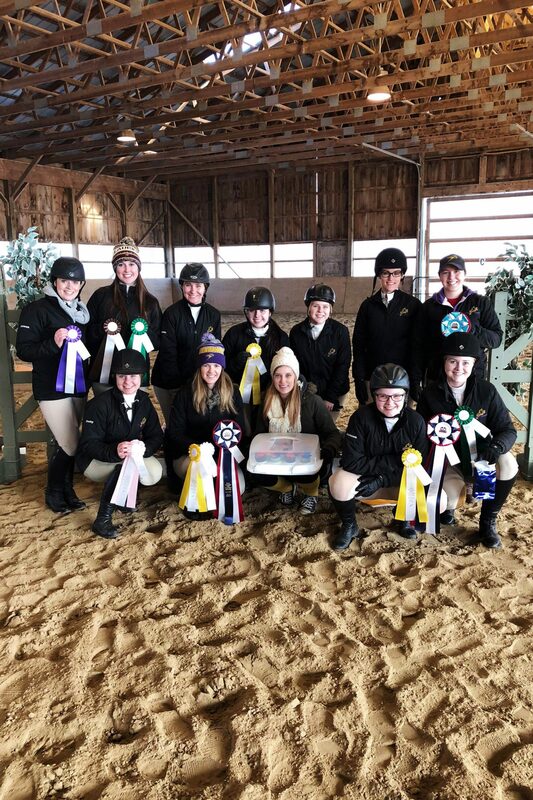 The show, hosted by the University of Waterloo, will take place at Findaway Equestrian Services in Baden, about a 20-minute drive from campus. “We compete on the OCEA, which is a competitive circuit for all of the universities and colleges in Ontario. We compete against [the other institutions] in hunter-jumpers,” said Kirsten Cle, co-captain of this year’s team with Shannon Walter. The team will be competing in several different divisions at each show. Divisions are determined by the height of the jumps and are typically sectioned by the experience and confidence of the rider. Confidence is a key factor when it comes to the equestrian team in particular because, on top of not knowing what their human competition will look like from other universities and colleges, the riders don’t know anything about the horses they will be competing on. “What we do is catch-riding. It’s a horse that [the rider] has never been on before, we’re not allowed to warm them up or anything,” said Walter. That might not seem so hard if you’ve ever been on a single trail ride before or if you’ve never competed on horseback, but it can be incredibly intimidating to control a horse you’ve had no experience with, especially at high speeds. “The horses we’re on have more attitude. They’re more athletic and can do a lot more than trail riding horses,” Cle said. It’s looking to be an exciting year for the team, as they begin this week for a long stretch ahead of them. There is no particular season for equestrian events, and shows run on weekends throughout the year. “We have seven shows this season and then finals at Palgrave,” Walter explained. Each show takes place at a different venue across Ontario and is hosted by a different equestrian team. Laurier’s show will take place on Jan. 13 2019 at MJM Equestrian outside of Hamilton. On top of taking regular weekly lessons to practice for their shows, the team can often be found at socials or fundraising for other activities for their members. Though positions on the team for this year have been decided, general members are invited to join in on weekly lessons, regardless of their previous experience. General members are also invited to participate in the team’s social events throughout the year and to help the competitive riders at the shows. “We’re always looking for help at our shows,” Cle said.